If you're anything like me, you wash your hair, dry it and then... well, that's kind of it. Unless I have a day off, or am on holidays, I usually leave my hair alone and don't bother styling it much. Although I do love styling, I just don't have the time every day. But there are still a few simple things you can do to make your hair look gorgeous on a day to day basis. Just a few of my hair care essentials for every day. The easiest way to keep your hair looking nice is actually brushing it. This might seem obvious but some people do actually leave their hair as is for the messy look, or if they have very curly hair. (Understandable if you have extreme curly hair.) I use a Lady Jayne Paddle Brush for my every day brushing, as it's very soft on my hair and works through knotty hair easily. In the shower, my hair tends to knot up very easily - so I use my Hairhouse Warehouse Wet Hair Brush to work it through. The teeth are spacious to allow your hair to move through easily. I really prefer to use this when I have dyed my hair, as it helps get the excess product out easier. After towel drying my hair, my hair is at it's knottiest. I've been using the Dessata Detangling Brush* to help smooth it out. It really helps smooth my hair out, and makes drying my hair a lot easier, too. Sometimes I will put my hair up in a pony tale, or pin my bangs back. I always prefer my Lady Jayne accessories for this - lately I've been loving the Lady Jayne Sports Style Bobby Pins. The pack comes with two different sizes, and they are matte so they stay put no matter how wet (read: sweaty) your hair gets. I've also been loving the Lady Jayne Smoothies Hair Ties. They feel velvety and are perfect for thicker hair. I find these are the longest lasting hair ties and have yet to have one of these break. The usual Lady Jayne's are also amazing and rarely break. For those days when you forget to wash your hair, and dry shampoo isn't really cutting it, then a bun is my go-to choice. I especially love wearing buns during the winter when it's raining or windy, as it's easier to keep my hair in place. I'll either put my hair up with the Lady Jayne Sports Style Claw Clip; a nice compact clip to keep your hair neatly packaged in - or I'll use the Scuni Bun Maker. This kit comes with some open bobby pins and hair tie, which is also handy. I love the mesh donut though, as it's a great base for your bun and helps your hair look effortlessly chic. Last but not least, if you're going to use only one product in your hair, it has to be heat protecting spray. 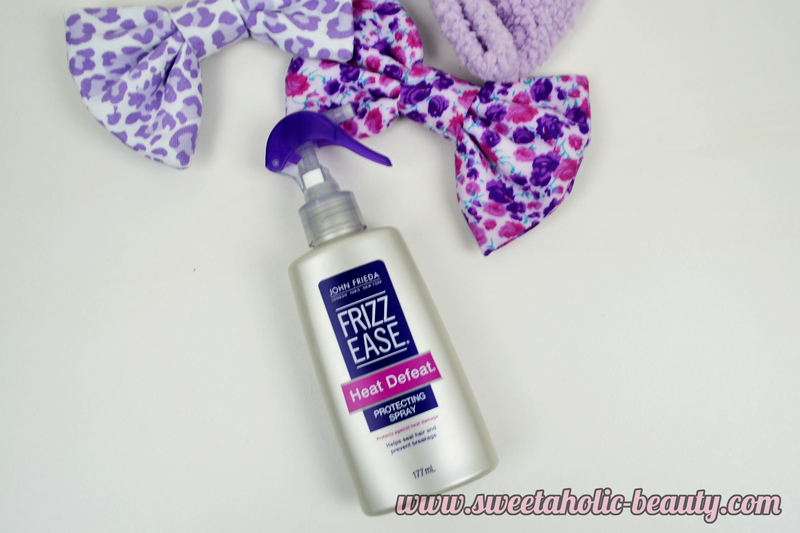 My favourite at the moment is the John Frieda Frizz Ease Heat Defeat. It's non greasy, lightweight, smells neutral and actually works in keeping the frizziness at bay. Everyone is different when it comes to their hair. Some people love products; love styling. Some people love the au natural look. 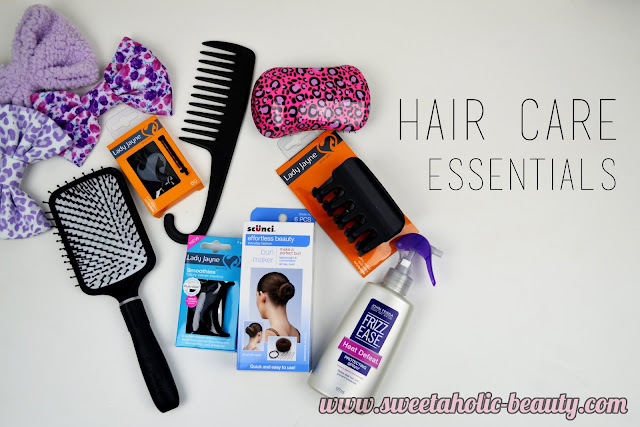 I think that no matter what you prefer, some simple hair care is still necessary. These products help me on a day to day basis - so they're my essentials. What are your essentials? Do you use any of these products on a daily basis? Oh I am all about the hair donut / bun booster! It's such an easy way to get a sleek, elegant style when you have zero skillz like me. I love Lady Jayne products! Have been my go to for years. My hair routine is really low maintenance but I do make sure I use a nourishing oil every so often on the ends of my hair. And dry shampoo + messy bun is my friend on those I really should wash my hair but I can't today days! Love that leopard print brush! Lady Jayne have some great products, I have zero skills when it comes to doing my hair and generally do not do much on a day to day basis but sometime I get a burst of hair interest and will use a fancy clip or a hair donut to make it look a bit more jazzy haha.